Main Street’s 4-Point Approach™ has been the model utilized to ensure successful revitalization in Grapevine, Texas. 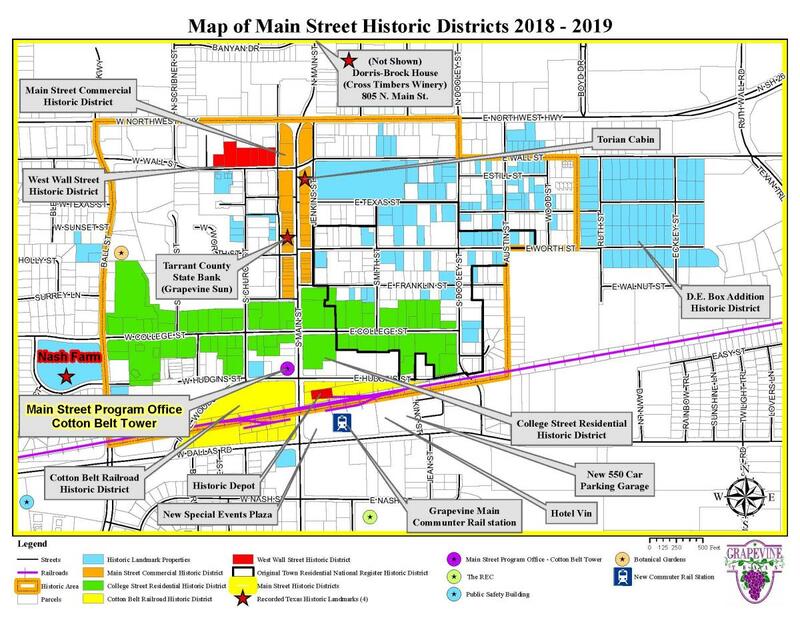 For more than 20 years the Grapevine Main Street Program has worked to establish Historic Districts to protect the integrity of original structures in the Grapevine Township. This approach has resulted in Grapevine being accredited as a Main Street America™ city.